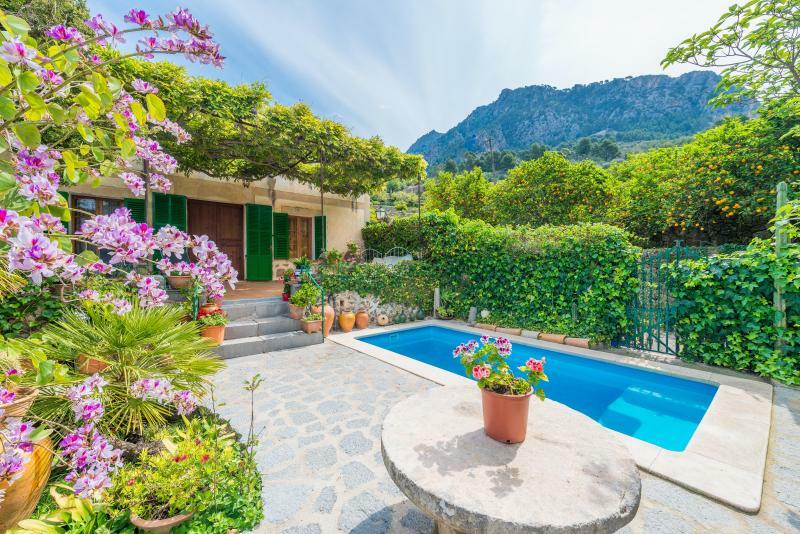 In the middle of the Sierra de Tramuntana, in the charming village of Biniaraix, you will find this villa with private pool and breathtaking views of the valley and the village. 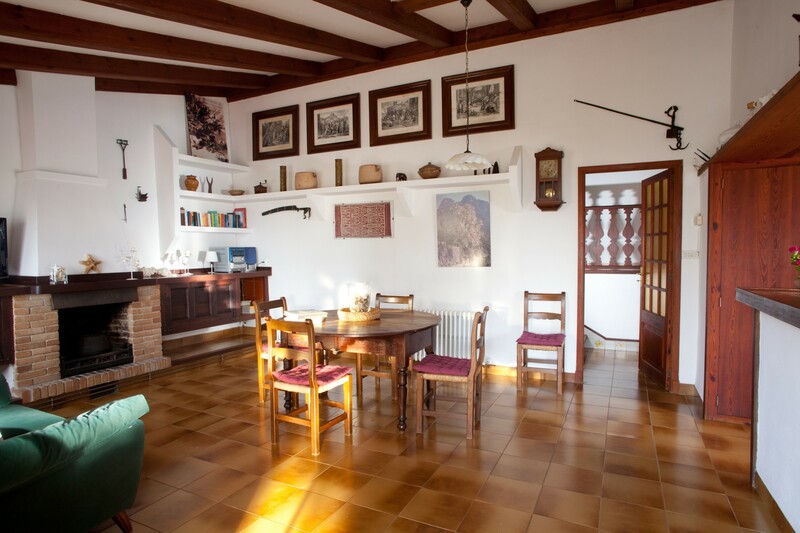 It is ideal for up to 5 guests. 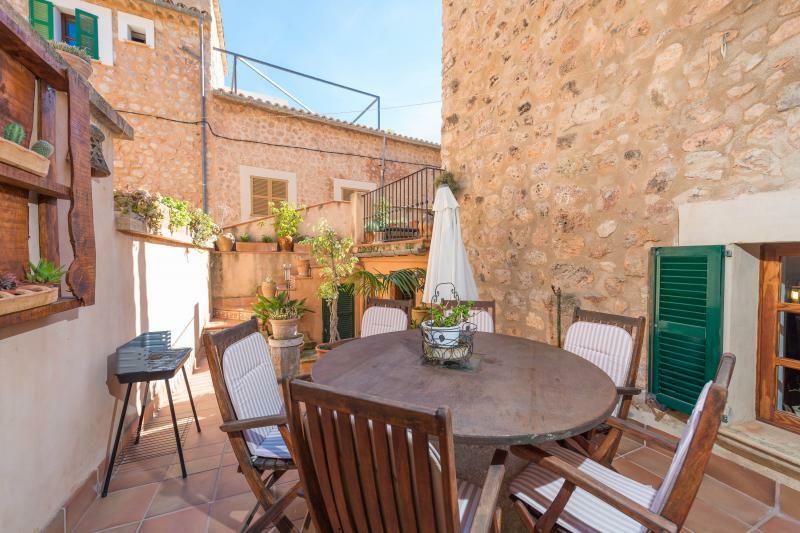 This beautiful villa is situated on the outskirts of the village, in a quiet area, ideal for nature lovers. 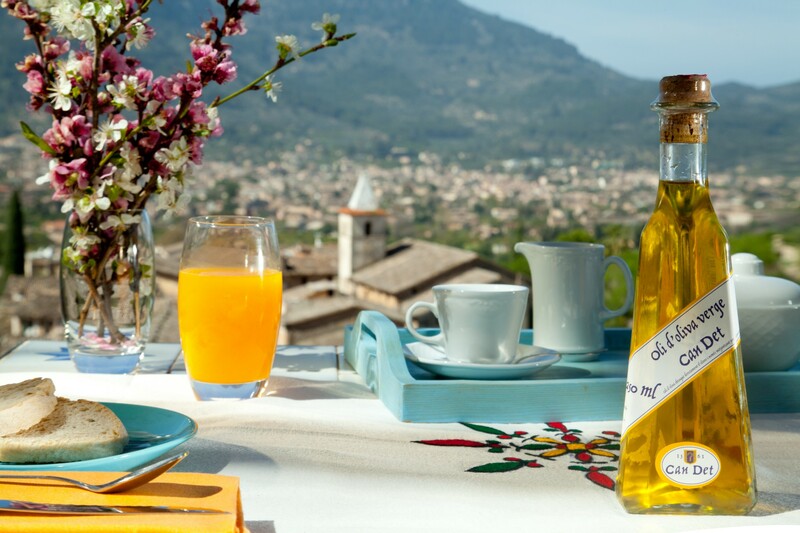 You can start a day on the terrace with a long breakfast overlooking the village. 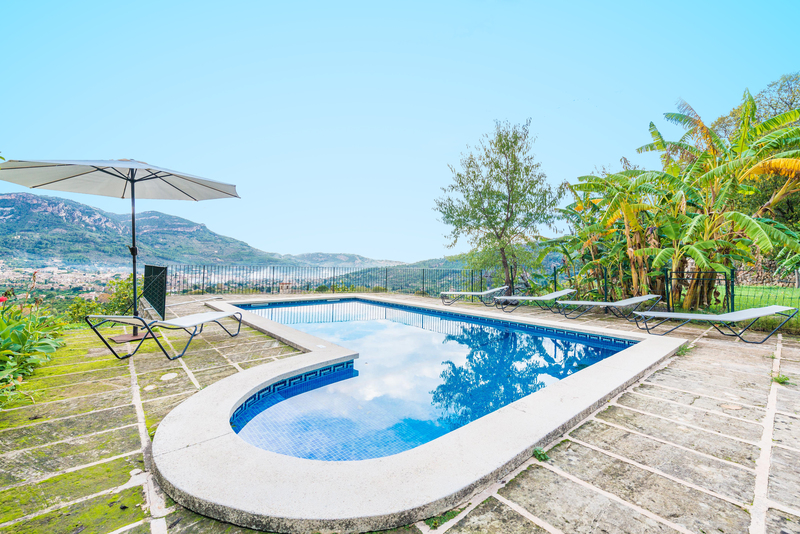 The private chlorine pool with size of 8m x 4m and a depth between 1.5m to 1.8m, is surrounded by nature and lots of green. On two sun loungers you can enjoy a sunny day and sunbathe. 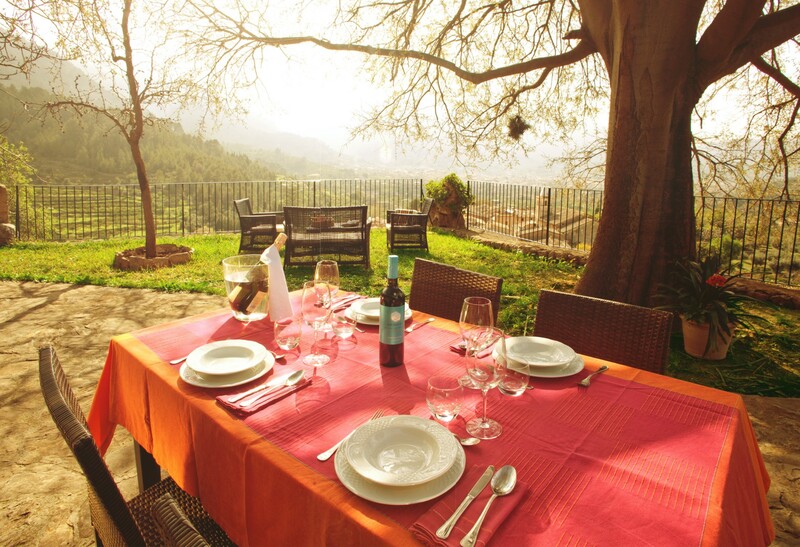 There's a barbecue for great al fresco dining. The house is fenced and has no direct neighbours. 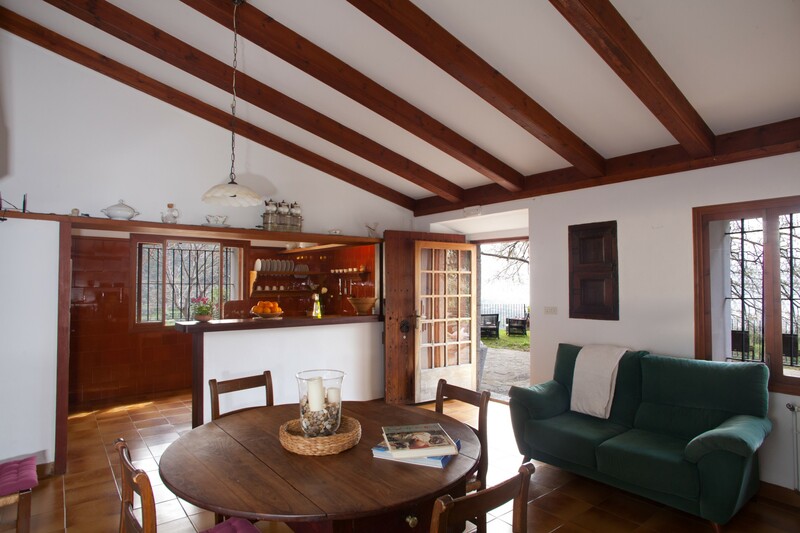 Inside the house, a living-dining room with satellite TV invites you to spend a relaxing afternoon by the fireplace. The open kitchen has all the necessary utensils for cooking, including a gas hob. 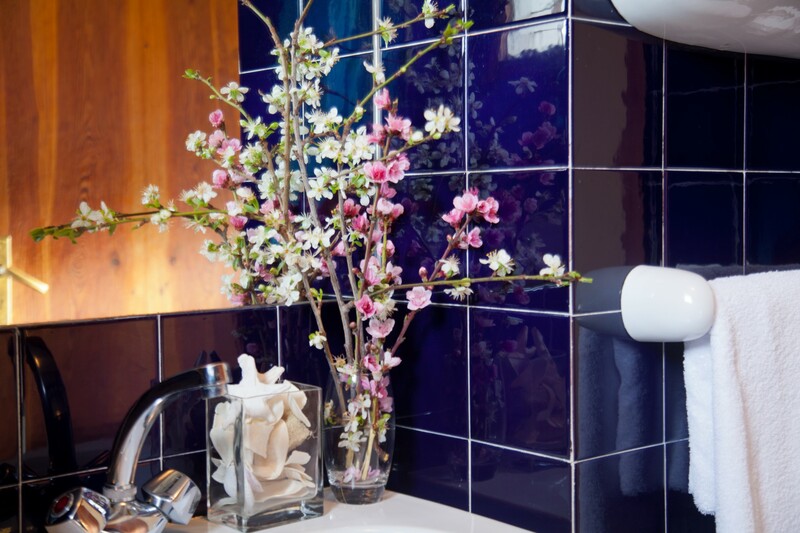 The laundry facilities include a washing machine, iron and ironing board. 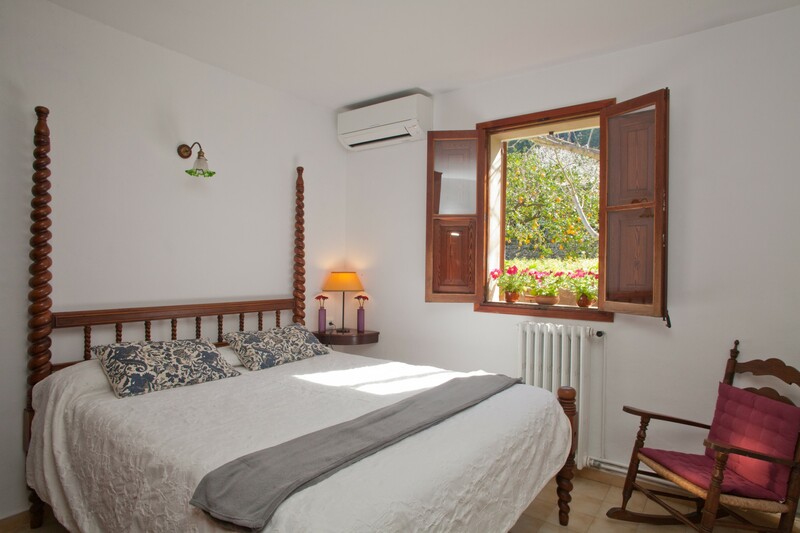 Two bedrooms, one with double bed and the other with two single beds, have air conditioning and wardrobe. The third room comes with a single bed and has no air conditioning. A cot, a high chair and an extra bed for a fifth person are available on request. 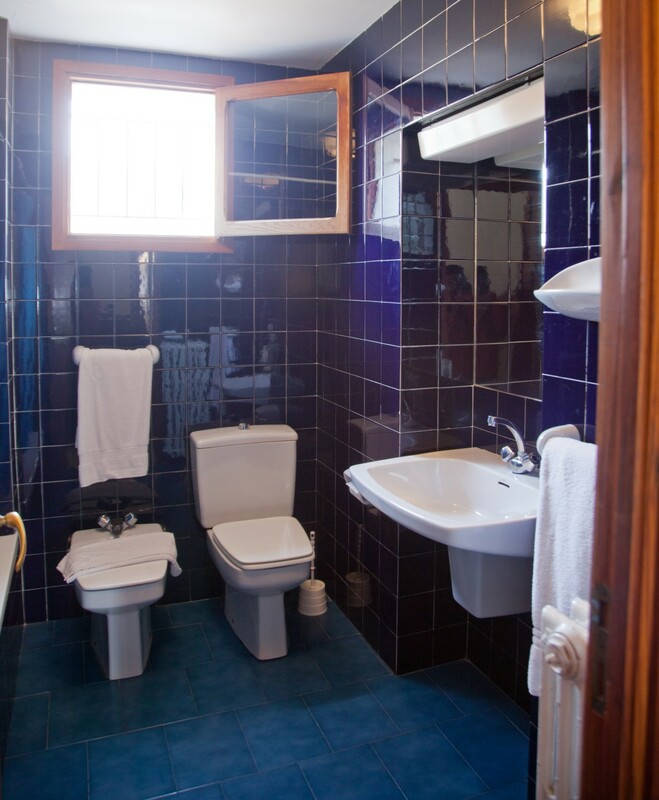 You will find one bathroom with bathtub and bidet. Three fans and three electric radiators complete the equipment. 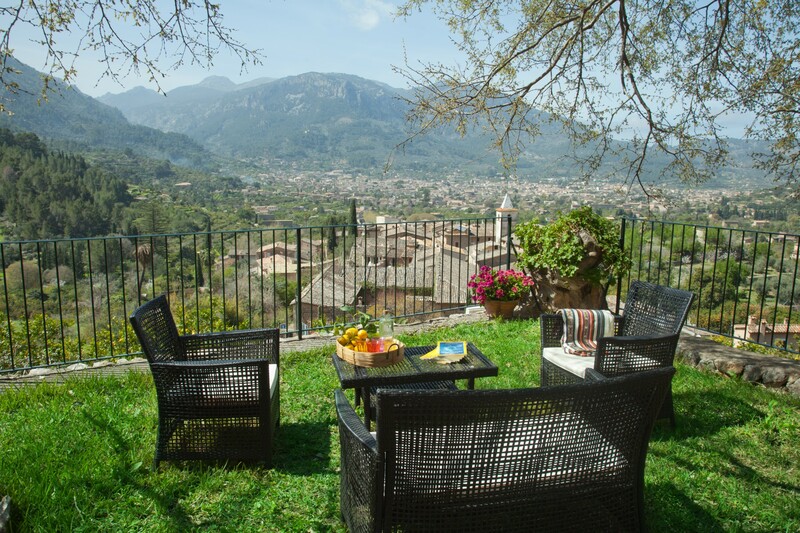 Biniaraix is a small village, situated in an idyllic valley of the Tramuntana. 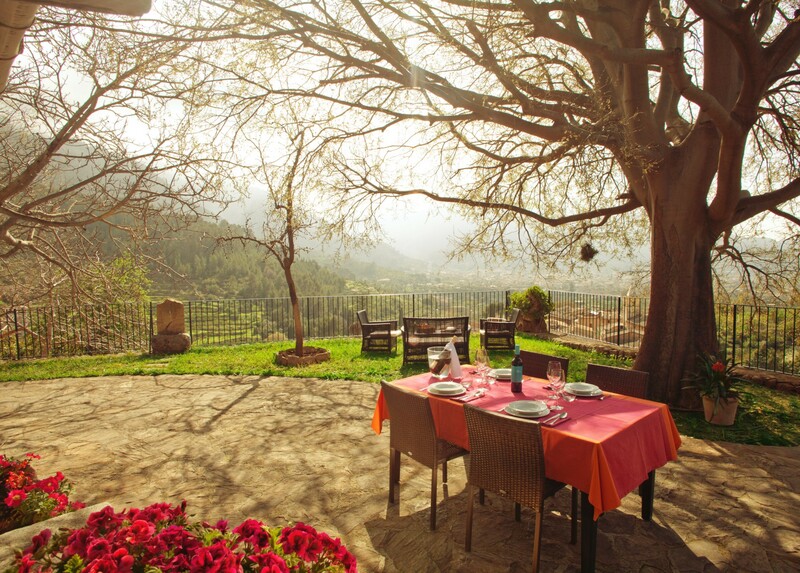 In the town square you can have a coffee or enjoy a tasty Mallorcan dinner. 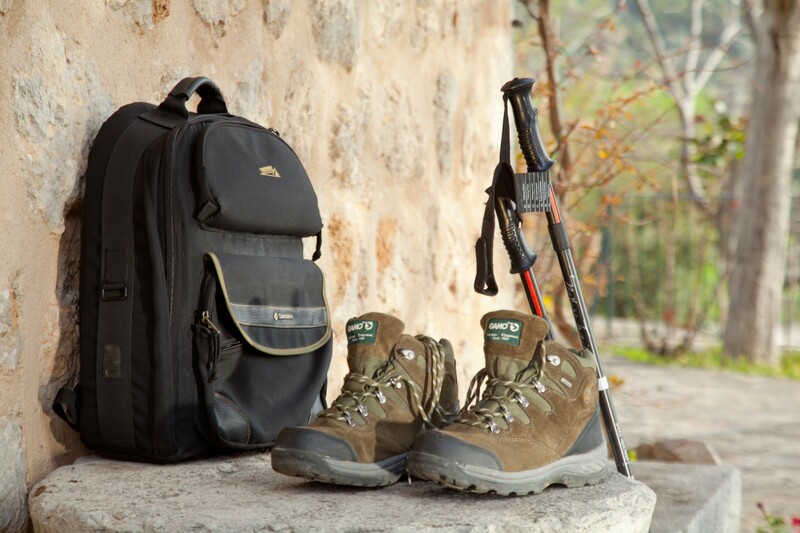 The surrpundings are fantastic for hiking, walking or cycling, for example, to the Cúber reservoir. 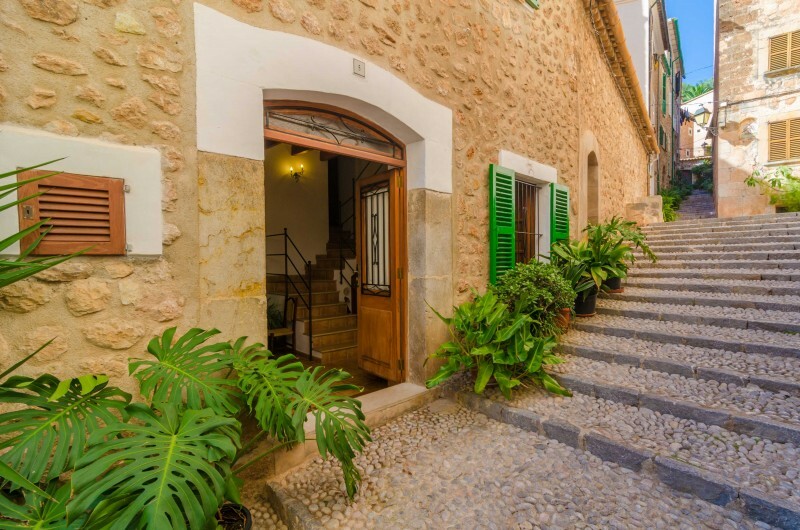 The town of Sóller, with the beautiful parish church of Sant Bartomeu, is also very close and from there you can enjoy a trip with the old train to Palma de Mallorca. The sandy beach in Puerto de Sóller is more or less 7 km long, and there are also many coves, mostly rocky, such as Cala Deià, Cala Estellencs or Sa Calobra, that deserve to be visited. 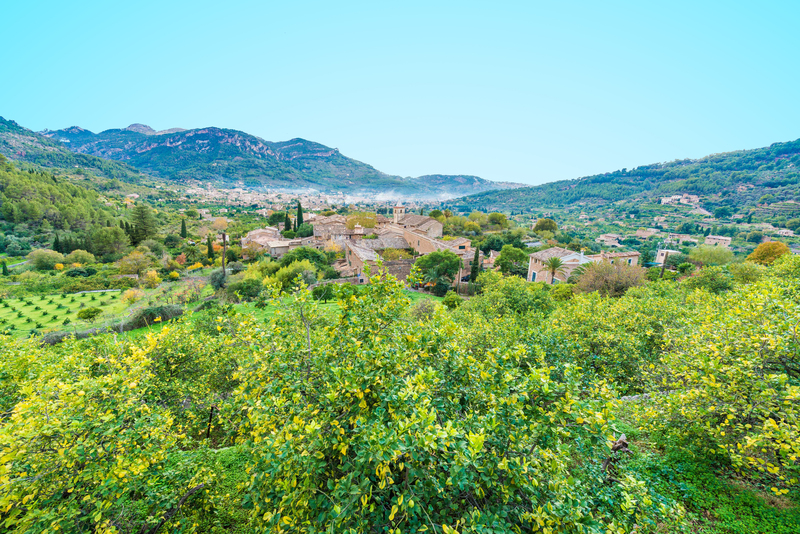 You can find supermarkets and more services in Sóller or in Palma de Mallorca.